I decided I wanted something different on my nails a few days ago. As I seem to have misplaced my Konad set when moving, my only option was free hand. So I opted for free handed tips. I used a base of China Glaze IDK. 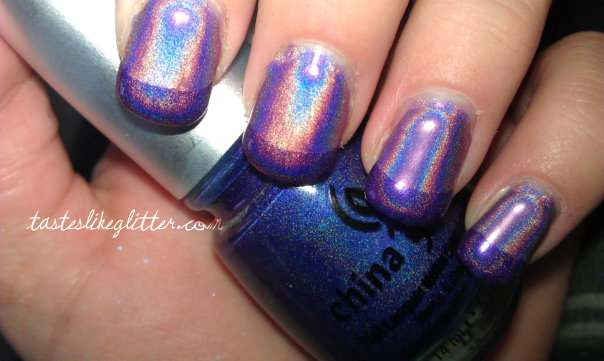 Then for the tips I used China Glaze LOL, 2 coats of each and finished with China Glaze Fast Forward. 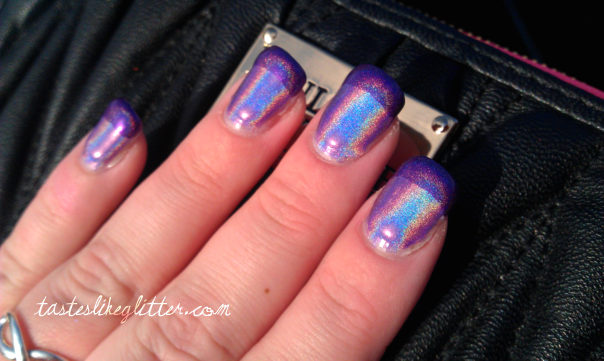 This would be an awesome mani to rock during the Summer months. 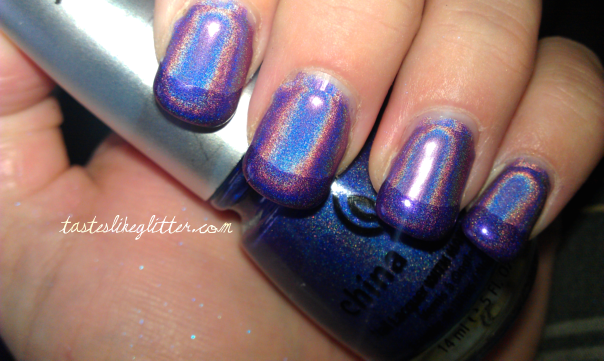 I wish I was more interested in nail polish when CG released the OMG collection because these holos are the most beautiful I've seen. I was hoping the Tron collection was like this but they weren't even close. I love this combination so much I don't want to take it off!